SENDAI - A woman in her 60s filed a lawsuit Tuesday seeking ¥11 million ($101,000) in damages from the central government over her forced sterilization when she was a teenager — based on her intellectual disability — under the now-defunct Eugenic Protection Law. 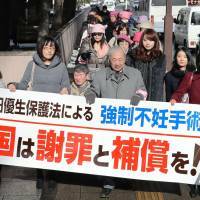 The woman in Miyagi Prefecture, who has not disclosed her name, filed the first such suit over forced sterilizations in Japan at the Sendai District Court, saying the state failed to legislate for relief measures despite the serious human rights infringement. She also claimed that the 1948 law denied human equality and the right to pursue happiness and was therefore unconstitutional. “We stood up so that we can realize a society without discrimination against people with disabilities,” the plaintiff’s sister-in-law, who helped prepare the suit, said at a news conference. Health minister Katsunobu Kato declined to comment on the case, saying he has not received related legal documents. The ministry also said it is not planning to investigate what took place as a result of the law — another of the plaintiff’s demands. The government says many records of forced sterilizations have been discarded by government offices. The suit was filed after the woman’s sister-in-law, who has lived with her for the past 40 years, asked the Miyagi Prefectural Government to disclose information held on the woman and discovered last July that she had undergone sterilization based on a diagnosis of “hereditary feeble-mindedness” at a local hospital. Prior to filing the lawsuit, the sister-in-law said she felt “the ideology that people with disabilities should be eliminated and should not be alive has remained” even after the eugenics law was scrapped. The law authorized the sterilization of people with mental disabilities and illness or hereditary disorders to prevent births of “inferior” offspring. It also allowed for forcible abortions. The legislation, which drew on a similar law in Nazi Germany, was scrapped in 1996 and replaced. Germany and Sweden had similar laws, and the governments there have apologized and paid compensation to the victims. Lawyers for the woman said it was obvious that the state should have provided relief to those affected, noting that the Diet had debated the necessity of redress in March 2004 but that no action was taken even after three years — considered a reasonable period needed for legislation. The lawyers called on other victims to file suits as well, saying it would lead to the early settlement of the issue. 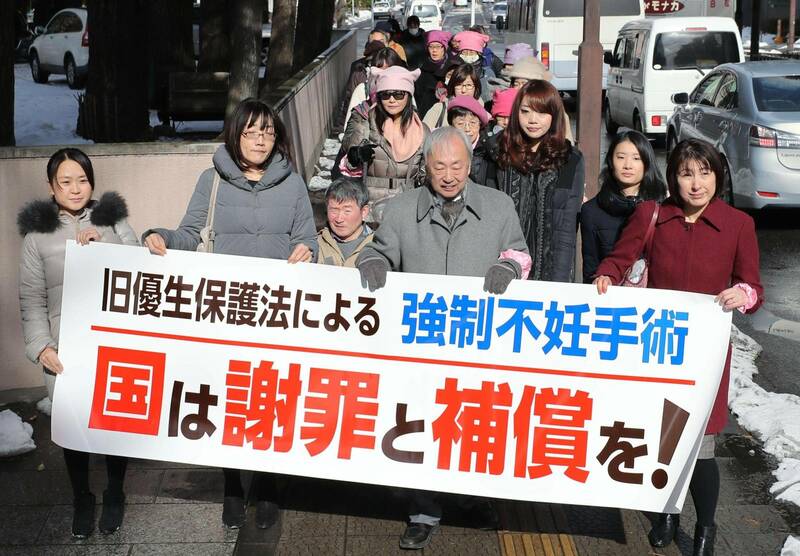 A Kumamoto District Court ruling on leprosy patients in 2001 criticized sterilizations as “inhumane,” while bar associations have also called for legal remedies. The local bar association in Miyagi Prefecture will operate a call center on the issue from Friday, while some lawyers in Sapporo, Tokyo, Osaka and Fukuoka will offer advice on the matter the same day. Yoko Matsubara, a Ritsumeikan University professor of bioethics, said a similar discriminatory ideology has been at the root of hate speech often seen in Japan — including in crimes such as the 2016 mass murder at a care facility for people with serious disabilities in Sagamihara, Kanagawa Prefecture — and urged the government to look into its discriminatory past. “Japan as a whole must comprehensively review the problems of the eugenics law and the underlying discriminatory views to (offer) redress (for) those affected and for the sake of the society itself,” Matsubara said.